Emmanuel currently works as a Senior Scientist in Denmark at the UNEP Centre on Energy, Climate and Sustainable Development, the Denmark Technical University and the National Laboratory for Sustainable Energy. He is also the Program Manager for UNEP’s facilitated Global Energy Network on Sustainable Development (GNESD) where he is working with high profiled national centres of excellences around the world; other UN agencies and international experts to achieve global access to clean energy, part of the Millennium Development Goals (MDGs). He earned his BSc (Honours) in Food Science from the University of Ghana. His undergraduate thesis was one of the only two bachelor research work that was shortlisted for an international graduate dissertation competition on Infant and Pre-School Child Nutrition, sponsored by UNICEF and the Academy of Educational Development, Washington DC. Emmanuel thesis won the overall first prize at the competition. During the second year of his undergraduate program, Emmanuel took an optional course in Environmental Management which was offered at the School of Business Administration. His decision to take this course was due to his growing curiosity in the new subject area coupled with a strong desire to be actively involved in preserving the world for posterity. His newly acquired passion led him to pursue a Master of Science Program in Environment and Resource Management at the Brandenburg University of Technology (BTU), Germany where he graduated with First Class (with Distinction) obtaining the highest GPA in the graduating class. For his Masters’ dissertation, he developed a simplified decision support guidebook for use by small and medium sized enterprises (SMEs) in the prevention and protection against dust explosion in food and process industries in Europe. This dissertation was conducted at the Fraunhoffer Institute of Safety, Energy and Environment, Oberhausen, Germany partly for the European Commission and partly as a requirement for his Masters’ degree. The European Commission in Brussels was very pleased with Emmanuel’s work which did not only get accepted but was also implemented in the Community. Immediately upon completion of his Masters’ studies, he was employed as a Lecturer in the Environment and Resource Management program. He taught Recycling Technologies to Masters’ students which became popular among the students that it was offered every semester. Emmanuel was very much liked by his students that he was nominated by the University as a faculty mentor to students in the Environment and Resource Management program. Emmanuel had additional appointments at the Brandenburg University of Technology as one of the two technical experts assigned to the European Union ECOLIFE (II) Network and one of the five scientists representing Germany at the Network. He decided to pursue additional studies while working as a young faculty teaching at the University. He enrolled himself in the PhD program where he investigated the technical and economic viability of renewable energy technologies in Ghana. His PhD work provided new knowledge on the where, what, why and how to implement viable renewable energy projects in Ghana and he graduated with distinction. Upon graduation of his PhD, he accepted a Post Doctoral Research Fellow Position at the University of British Columbia (UBC) where he assisted in developing the Industrial Ecology and Sustainable Manufacturing Research Group. His post doc research focused on the role of technological innovations in manufacturing in reduction in wood consumption. 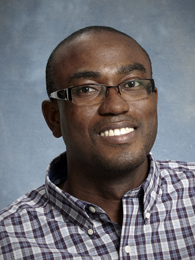 During his post doc era, Emmanuel was also engaged in project management and helped coordinated the Technological Innovation UBC Project which was part of the Sustainable Forest Management Network, one of Canada’s National Centres of Excellence. He was subsequently promoted to Research Associate in UBC (after 2 and half years post doc) to investigate the environmental sustainability of biofuels. He was also cross-appointed during the period to the International Energy Agency (IEA) Bioenergy (Task 39) where he was engaged in Project Management and Coordination of activities in the Network. In addition to significant project management and administrative accomplishments, Emmanuel has been very productive in scientific research. He has authored and co-authored 36 publications (including 20 peer-reviewed technical papers and journal articles, 1 book and 15 conference presentations with published abstracts). Emmanuel is a reviewer on a number of journals and specialized technical reports. He reviewed the Blue Paper on Life Cycle Sustainability Analysis and several IEA Bioenergy papers. He is currently an Editorial Board Member on Carbon Management Journal. Emmanuel serves as a reviewer on the national program in Ghana to establish a world class university in Energy and Natural Resources. Emmanuel has been a bona-fide member and reviewer of AJFAND on policy and development papers since 2006. 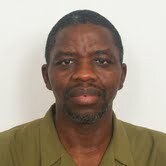 Prof. Ntonghanwah Forcheh is an Associate Professor in the Department of Statistics, University of Botswana. Forcheh was born in Cameroon where he completed his primary and secondary education before proceeding to the United Kingdom for his University education. He obtained a Bachelor of Science degree in Statistics from the University College London in 1986 and went on to the University of Sheffield, England where he obtained a Master of Science (1998) and PhD (1992) both statistics. He has risen from Lecturer to Associate Professor in Statistics since joining the University of Botswana in 1992. He served as the Head of the Department from 2004 to 2010, when he oversaw the introduction of their first PhD program in Statistics. Over these years, Prof. Forcheh has taught a wide range of courses at Undergraduate and Postgraduate level, supervised student projects and dissertations in varied areas and conducted consultancy, research and publications in diverse areas of statistics. He has published many areas of applied statistics including application of multivariate techniques in environmental studies, child anthropometry, HIV/AIDS; employee productivity, job satisfaction, workplace stress and performance market research among others. He has conducted many consultancy projects in the areas of agriculture, energy, and telecommunication regulations. He has been invited to review articles for several international journals and acted as external examiner to a number of universities. He has also served in several continental workshops and conferences aimed at developing statistical capacity in the in national statistics systems as well as at training institutions.